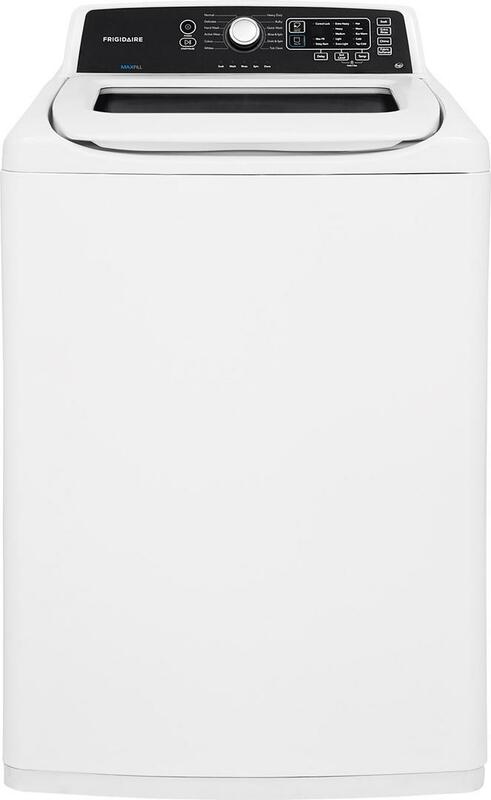 The GE 4.0 cu. 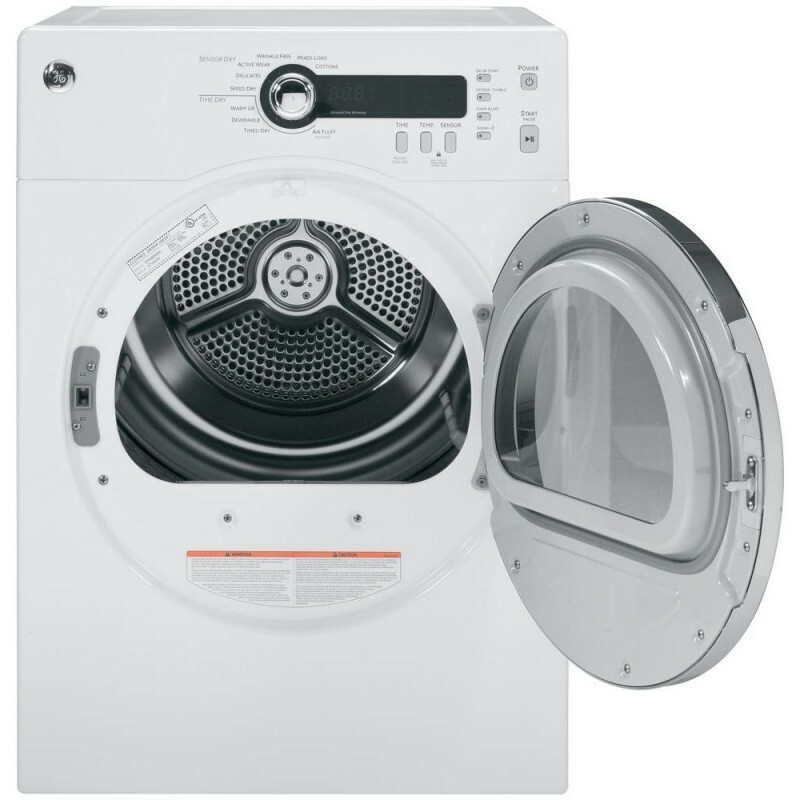 ft. Electric Dryer has 5 heat selections and 20 dry cycles for flexibility and enhanced drying performance. 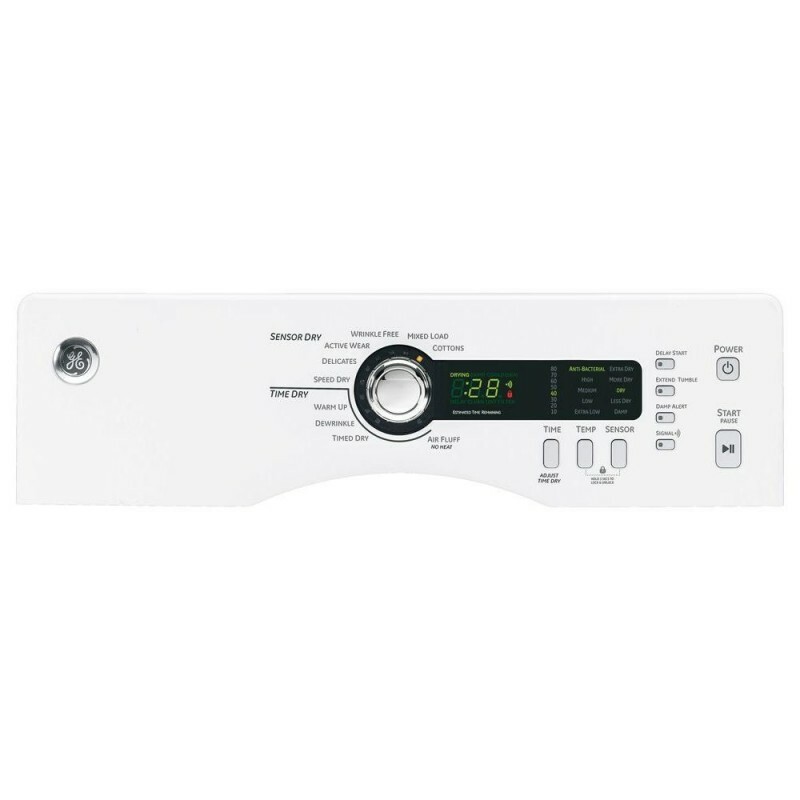 An ideal choice for your home, this dryer has a delay start option for setting the dryer according to your schedule and a Sensor Dry system that monitors moisture levels and helps keep clothes looking their best. 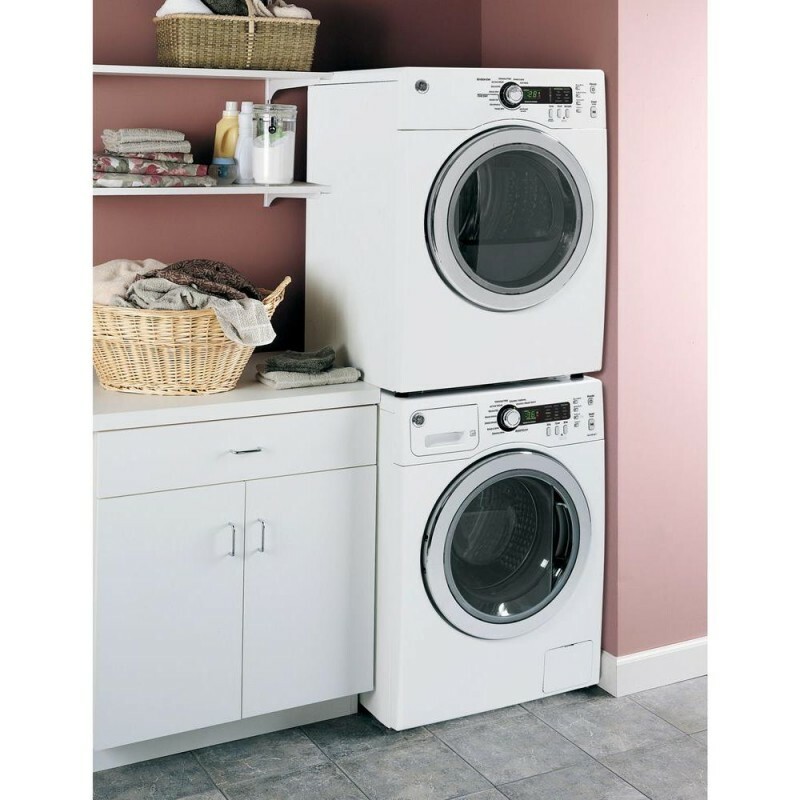 The dryer's Stainless steel drum has a smooth surface to help prevent rust and protect clothes and its reversible dryer door offers installation flexibility. Loving my purchase! Have been using a combination washer/dryer (ventless) for the past 9 years. Washing clothes was a day's work, as it took so long to complete one load. I love the settings, as I can dry just the way I want to. Perfect for my small space. Great features I'm having trouble getting used to this dryer. I prefer automatic drying cycles to timed ones but, my sensor stops the machine while clothes are still damp causing wrinkles. On timed drying, the machine is a charm. I will add that this particular model is quite light (great for stacking but, I didn't) so, when I pull the door open, I sometimes pull the machine away from the wall. This is only a problem because I had it attached to a space saving exhaust thingy and kept disconnecting it. But, that's my problem not GE's just wanted to mention it for other buyers. Small Giant Needed small dimensions for our space and took a long time to find this combo washer/dryer. It may be small but works just as good as the big girls !!! Love the many different options/varieties they have for choosing a drying selection. Have absolutely no complaints ! 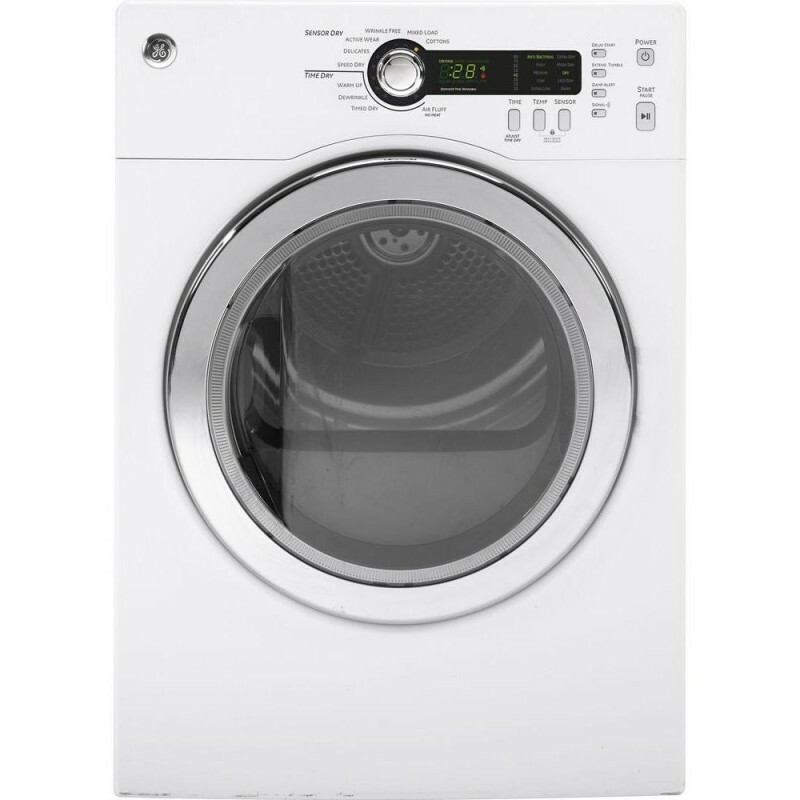 dryer sensor Sometimes the machine stops and the clothes are still damp. It appears the sensor is not accurate in determining whether laundry is actually dry. Usually have to put back in dryer for additional time. Great Features! I have and my dryer for over two years now. I am very happy with the cycle selections. I also like the fact that there is a light inside when the dryer is on and dryer door is open!